Is it true that nobody hires in December? After I submit my application, how long should I wait to follow up since hiring managers might be in and out with holiday obligations? Everyone says the holidays are a great time for networking. Do you have an example of a holiday networking opportunity? Job seekers – enjoy the holidays, but don’t forget you can still make an impact on your search this month! 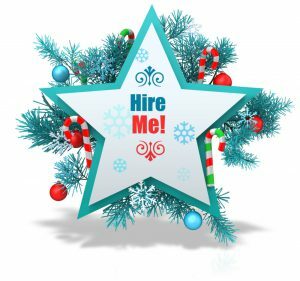 This entry was posted in Job Seekers and tagged holiday job hunt, holiday job search, holiday job search tips, job search tips, Job Seeker Tips. Bookmark the permalink.